Military facilities around the country have depended on EasyID® to provide positive patient identification and forms automation. The implementation of EasyID® allows MHS/DoD hospitals to replace existing embossers, introduce mobile barcode scanning and improve overall patient safety. 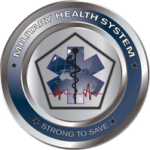 After receiving an Army CoN (Certificate of Networthiness), an extensive process of completing a DIACAP (DoD Information Assurance Certification and Accreditation Process) was activated in order to operate within DoD hospitals. The completion of a DIACAP provides certification that GBS products have been thoroughly vetted and are approved for use by all branches of the military. 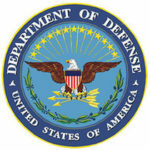 After more than a year of intensive testing, EasyID® received a DoD Authority to Operate (ATO) for its identification software. Developed in conjunction with an AMEDD facility, the Custom Essentris Interface works with EasyID® to facilitate communication. This happens between the Essentris order entry system and CHCS, eliminating duplicate manual data entry and reducing errors by scanning orders directly into CHCS. The implementation of the Essentris Interface allows users to save time, while improving efficiency. This will also cause an increase in patient safety by using computer confirmation to ensure the order matches the patient.